Information about the distribution and abundance of species is the key to both understanding the status of the species (extinct, extirpated, endangered, threatened, at-risk or not at risk – are the COSEWIC categories), and whether the status of the population is improving, steady or declining. 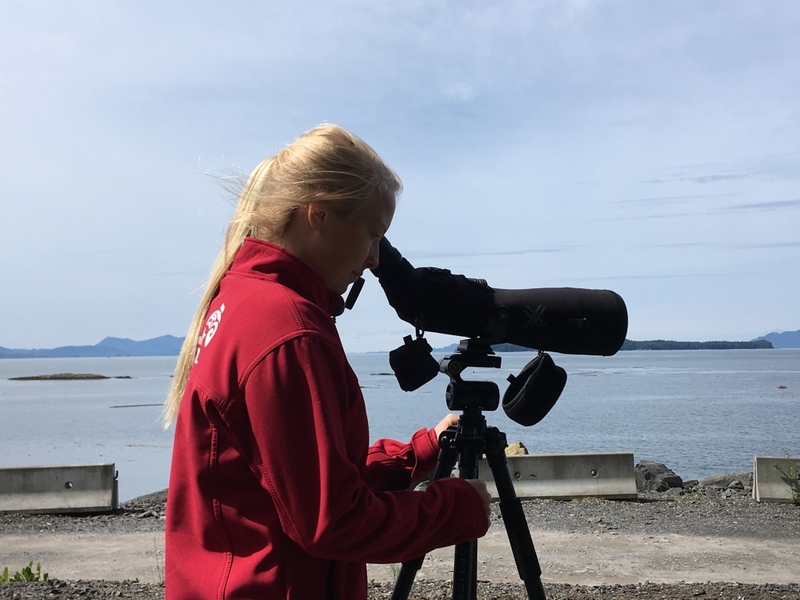 Sightings sent in by BCCSN volunteer observers contribute to an understanding of abundance, distribution, and habitat use for at-risk cetaceans and sea turtles. These sightings data have been used by governments, non-governmental organizations, and industry for conservation-based research projects. Projects include assessment of species abundance, distribution, and habitat use, establishment of Marine Protected Areas, mitigation of underwater noise, and environmental impact assessments. Sightings from BCCSN observers have led to the discovery of previously unidentified hot-spots, such as a population of Pacific white-sided dolphins that began to use the waters around Howe Sound in 2010, or to the discovery that in some years grey whales are utilizing Baynes Sound to feed on herring roe on their annual migration to the Bering Sea. Each year we receive approximately 15 requests for sightings data. 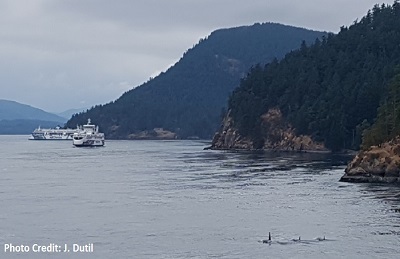 These requests are approved by Dr. Lance Barrett-Lennard, head of the Marine Mammal Research Program at Ocean Wise’s Coastal Ocean Research Institute. Requests are approved based on their scientific or conservation merit. The BCCSN will consider data requests for i) academic research on ecology, basic biology, habitat use or related subjects; ii) conservation assessment and planning; iii) species recovery planning including critical habitat determination; and iv) environmental impact assessment, evaluation and mitigation. Email sightings@ocean.org for more information on data requests. 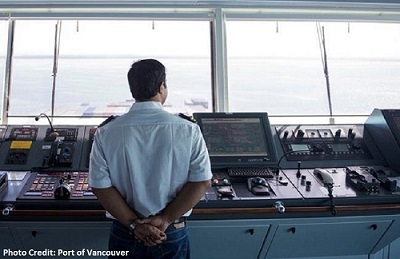 Having mariners that already spend their time on the water report their sightings is an excellent way to monitor what is happening on the B.C. coast. However, the way sightings network data is collected creates a puzzle that limits the usefulness of the data. We know where areas of high sightings concentrations are, but we don’t know whether high concentrations of sightings in these areas are due to more observers or to higher concentrations of cetaceans and sea turtles. 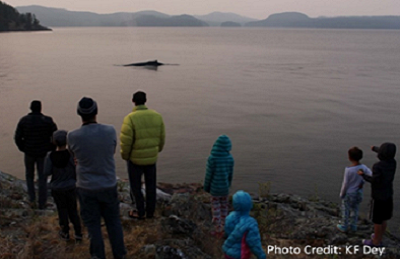 In order to solve this puzzle, the BCCSN has been working to provide a measure of sightings effort – to understand where network observers are looking for whales. 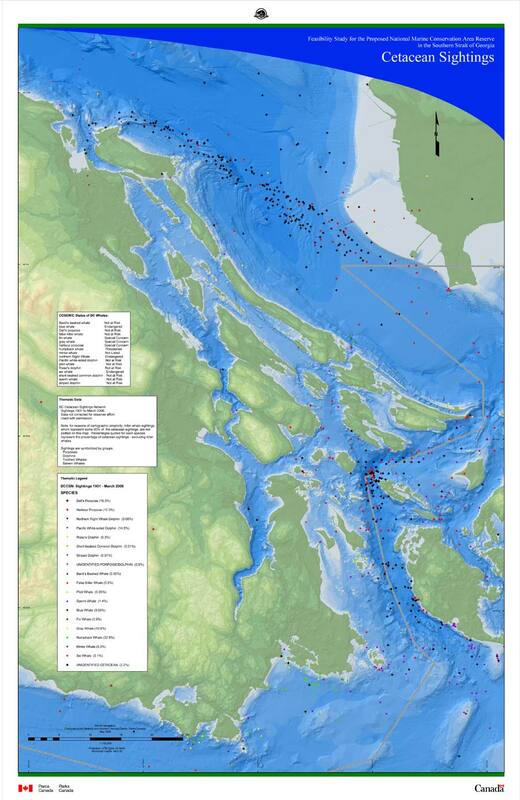 The BCCSN is now able to realistically model observer effort along the BC coast to provide context to the data we have collected since 1999.